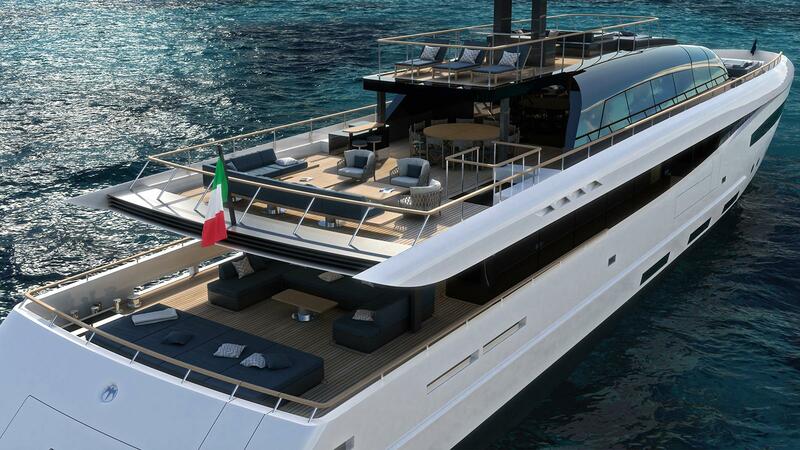 Italian yard Baglietto has released its latest concept, a 50 metre V-Line developed in collaboration with the Santa Maria Magnolfi studio. The fifth motor yacht concept to stem from this partnership, the V-Line 50 was unveiled earlier this week at the Dubai International Boat Show(February 27), sporting a curvaceous, aerodynamic superstructure and a semi-displacement hull. 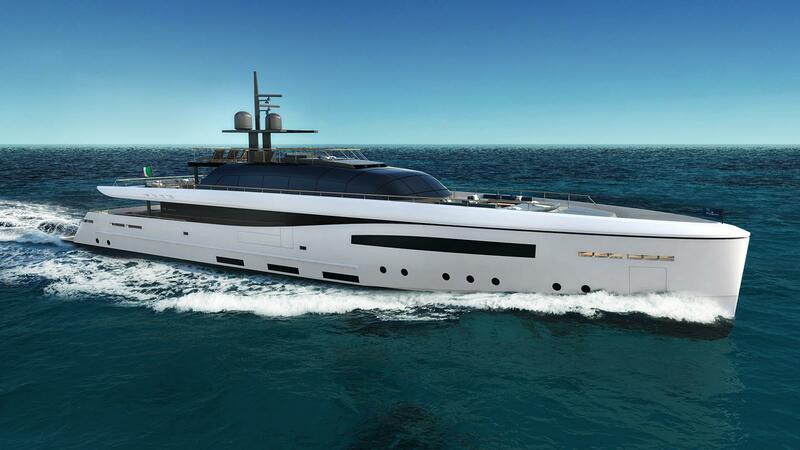 The yard added that the inspiration for this new design was the super-fast Chato, which was delivered by Baglietto back in 1986, although no engine installation details or performance figures were disclosed. Accommodation on board the Baglietto V-Line 50 is for up to 12 guests split across six cabins, including a main deck master suite that measures 60 square metres and includes its own private office. The optional VIP cabin, situated amidships on the main deck, can be replaced with a superyacht gym, while four lower deck cabins complete the guest layout. Key features include a walkaround skylounge, a raised observation deck and a sheltered cockpit with a C-shaped wrap of seating facing aft — ideal for enjoying a cocktail or a light snack as the sun goes down. Tender storage has been thoroughly thought through as well, with an aft garage that can hold a six-metre tender and a foredeck locker that is large enough for a 3.5 metre RIB. Baglietto is currently building four superyachts ranging from 43 to 55 metres. The next model scheduled to launch is the second hull in the T-Line 48 series, Project 10228, which is due to debut in September.